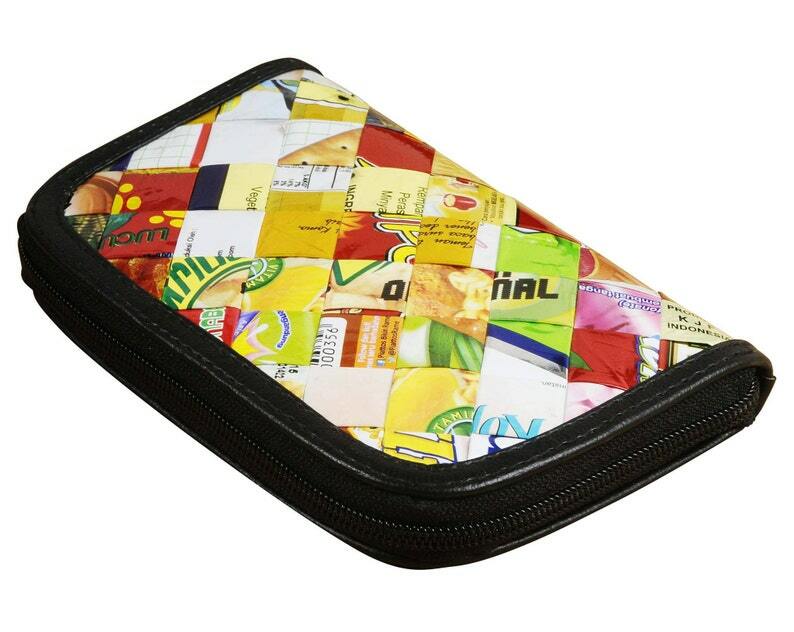 Small zipper wallet made from colorful candy wrappers. Folded into strips and woven tightly. A clear pocket for coins to allow easy coin searching. 3 Partition spaces for extra cards, tickets, and anything else you need. Polyester fabric used for lining and inner pockets. Own a shop? We offer great wholesale deals! Contact us for details. Sorry, this item doesn’t ship to Israel. Contact the shop to find out about available shipping options. I bought this for my wife who play's in a card club every week and I wanted to give her an advantage against the other players!.... She loves it! and so do the other players... it also does what I thought it would,... it distracts them from their game! and gives my wife the edge she's looking for!... So, an all round success I think!... and thank you for creating this beautiful hat from recycled sources. I just LOVE my purse!!! My purse came really fast and looks ABSOLUTELY AMAZING!!! Look forward to carrying it around!!! Shop owner was so friendly and kept in touch the entire time!! They really care about their customers!! Will shop again!!! Beautiful craftsmanship, great company to work with. Naveh Milo is professional, efficient, kind. My daughter absolutely loved this wallet! A one-of-a-kind specially made wallet! Will be doing business with this company in the future and letting all my friends and family know how awesome they are!